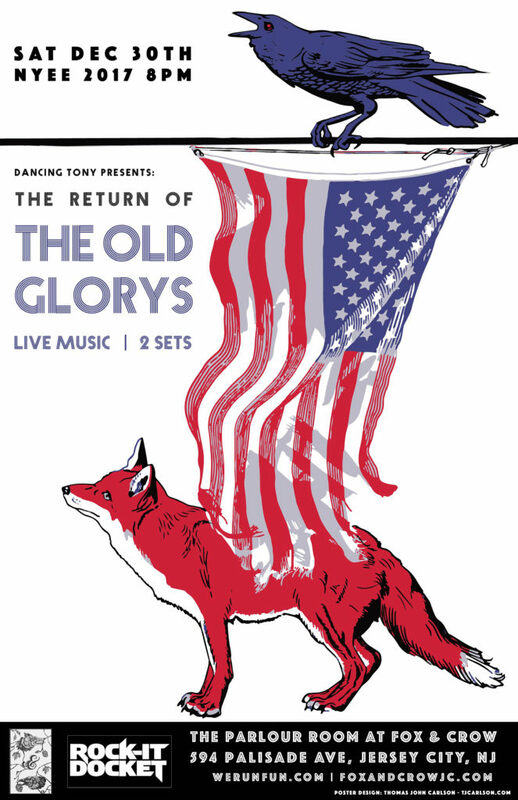 Jersey City welcomes back Melissa A Jackson from Kentucky for a reunion show with The Old Glorys with the original line-up featuring Shane-Michael Vidaurri, Tom Hanslowe, Alec Hanslowe and Nick . The band will perform two sets in Fox and Crows Parlour Room. If you’re in a band or have a solo act that you’d like us to consider for an upcoming Rock-It Docket event, fill out the form at the link below. This week, DJ Phil Nastie makes it happen. Stay tuned for the Brooklyn Tap line-up and list of give-aways! Cosmic Jerry Band returns to FM Restaurant Bar and Lounge in Jersey City, New Jersey on Friday 5/3 at 9pm-1am. Join us for everything Jerry Garcia and beyond! $10 at the door.